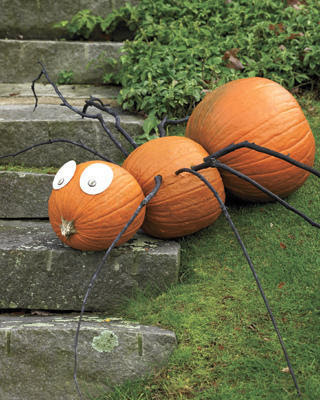 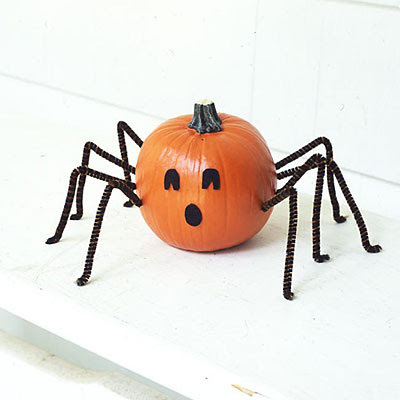 If you love spiders and are looking for a fun, no carve pumpkin idea, check out this great pumpkin spider on Metatube. 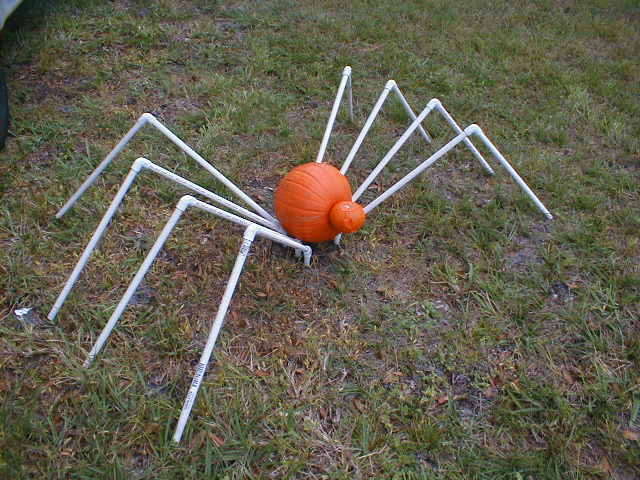 A few sticks and you have a gun outdoor Halloween decoration. 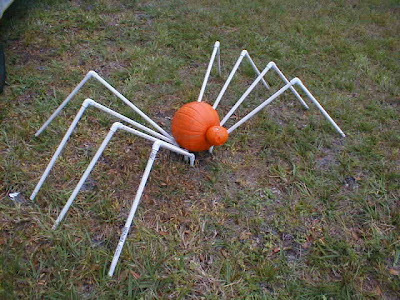 If you don't have any long black sticks laying around on the ground, check out this daddy long leg spider pumpkin made with PVC pipe over on Instructables. 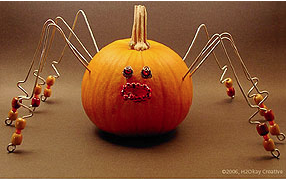 Or this jeweled pumpkin spider from Hooked Wire Art.